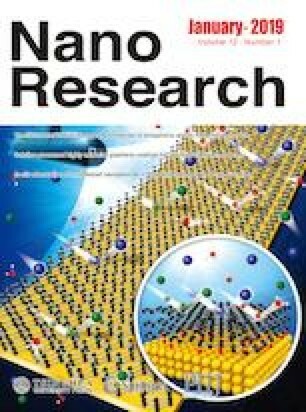 Dimensionality and orientation of hexagonal boron nitride (h-BN) nanosheets are promising to create and control their unique properties for diverse applications. However, low-temperature deposition of vertically oriented h-BN nanosheets is a significant challenge. Here we report on the low-temperature plasma synthesis of maze-like h-BN nanowalls (BNNWs) from a mixture of triethylamine borane (TEAB) and ammonia at temperatures as low as 400 °C. The maze-like BNNWs contained vertically aligned stacks of h-BN nanosheets. Wavy h-BN nanowalls with randomly oriented nanocrystalline structure are also fabricated. Simple and effective control of morphological type of BNNWs by the deposition temperature is demonstrated. Despite the lower synthesis temperature, thermal stability and oxidation resistivity of the maze-like BNNWs are higher than for the wavy nanowalls. The structure and oxidation of the nanowalls was found to be the critical factor for their thermal stability and controlled luminescence properties. Cytotoxic study demonstrated significant antibacterial effect of both maze-like and wavy h-BN nanowalls against E. coli. The reported results reveal a significant potential of h-BN nanowalls for a broad range of applications from electronics to biomedicine. Supplementary material (XPS and Raman spectra, SEM images) is available in the online version of this article at https://doi.org/10.1007/s12274-018-2185-7. The reported research was funded by Russian Foundation for Basic Research and the government of the Novosibirsk region of the Russian Federation (No. 18-43-543003). The project was partially performed in the resource centers of Scientific Park of Saint-Petersburg State University, in particular, Center for X-ray Diffraction Studies, Thermogravimetric and Calorimetric Research Center, Center for Physical Methods of Surface Investigation and Nanotechnology Interdisciplinary Center. K. O. thanks the Australian Research Council for partial support, UrFU for the access to scientific equipment of Laboratory “Nanocrystal” supported by Act 211 Government of the RF (No. 02.A03.21.0006).